The waterfalls attraction is a recurring motif echoing with the pulse of nature creating soothing sounds. This 80ft high famous waterfall starts calmly from the high ranges and crashes down through gorges overhung with trees. Its white spray of water appears almost magical from the rocky road that swerves around the mountain. After the visit proceed to Cherai beach and Stay at Cochin. 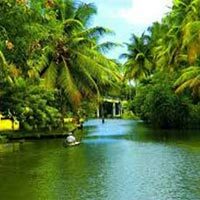 After the complimentary breakfast Cochin sightseeing includes fort cochin, navy museum, St. Francis church, Chinese fishing net, Santa clause basilica, Mattanchery palace, Jewish synagogue, Marian drive, Marine walk way, boating, Tripunitura hill palace. You can find some time for shopping at Cochin overnight stay at the hotel. After breakfast check-out from Hotel and proceed for Alleppey for Houseboat. Check-in into A/C deluxe double bedroom Houseboat by noon at 1200hrs. 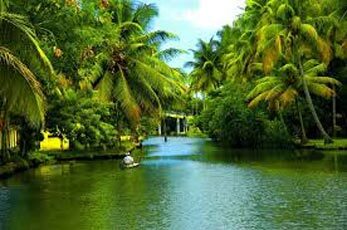 After Lunch, the backwater cruise will start through Paddy Fields, Narrow canals Backwaters, Toddy-Tapping, Coir-Making and Villages. Overnight Stay at the Houseboat. After breakfast check-out from Houseboat at 09a.m and drop to the Airport.